The fundamental knowledge of tea which builds your way to explore the amazing tea world. Tea brewing, tasting and critic skills. Basic tea cupping and grading method will be introduced. To experience the beauty of the Pu’er tea from the ancient tea trees from the born place of TEA. To experience the taste of delicacy and sunlight in White teas. We offer Chinese Tea Sommelier courses and exam opportunity to get the certification. 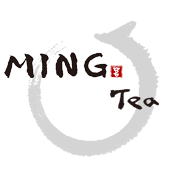 Including Tea Art and Tea Critics Certifications. Select and tailored your own curricular activities. blended learning opportunities to best meet your needs. other learners sounds good to you then we can offer this.